In response to a number of our customers’ requests, we decided to try our hand at building a “slimline” line of tenor-sized travel ukuleles, which have the same dimensions as our other tenors (or a vintage Martin tenor) except that the body is half as thick. 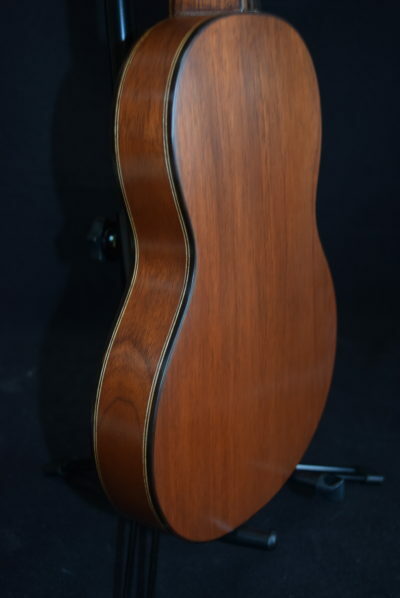 We were extremely pleased at how they’ve been coming out. 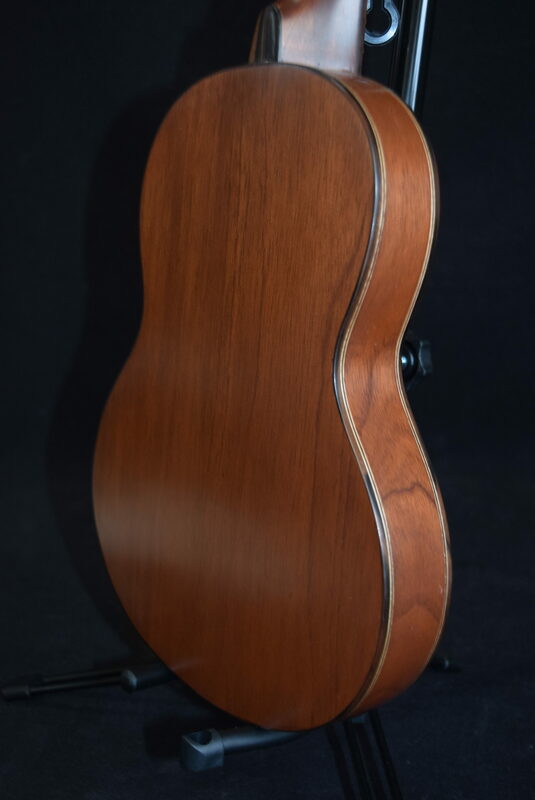 They sound almost as loud and rich as our other tenors, with a unique and distinctive tone quality that some of our customers actually prefer to the regular-sized tenors, and the added benefit of much more portability. 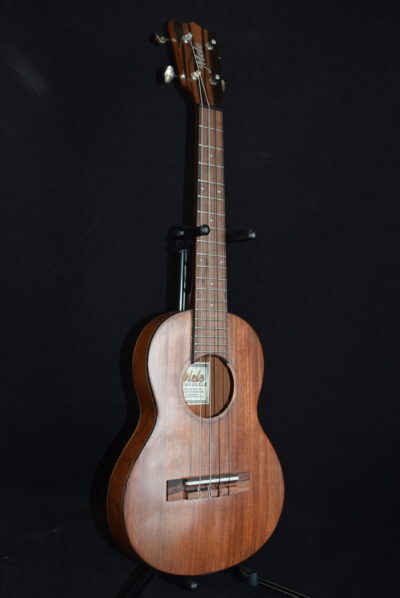 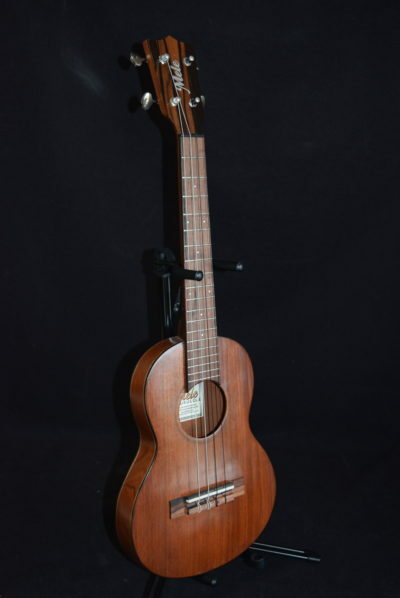 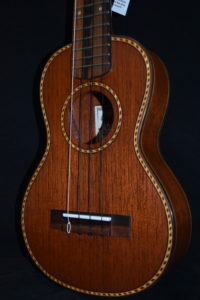 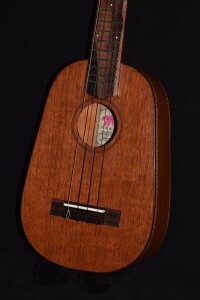 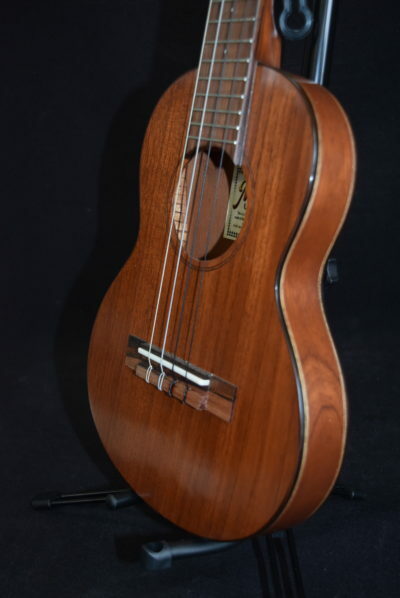 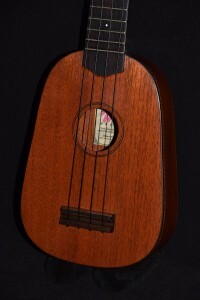 A lot of our customers, especially women, find the “slimline” to be more comfortable and easier to play compared to a regular-depth tenor model.For many years, folks have been requesting mango wood ukuleles. We built a few early on, but mango wood is very challenging to work with. It looks and sounds so great, though, that we have started making them again, and they are gorgeous, great-sounding, and selling like hotcakes! 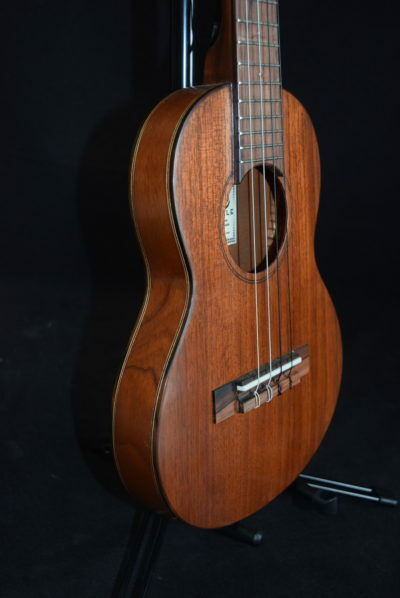 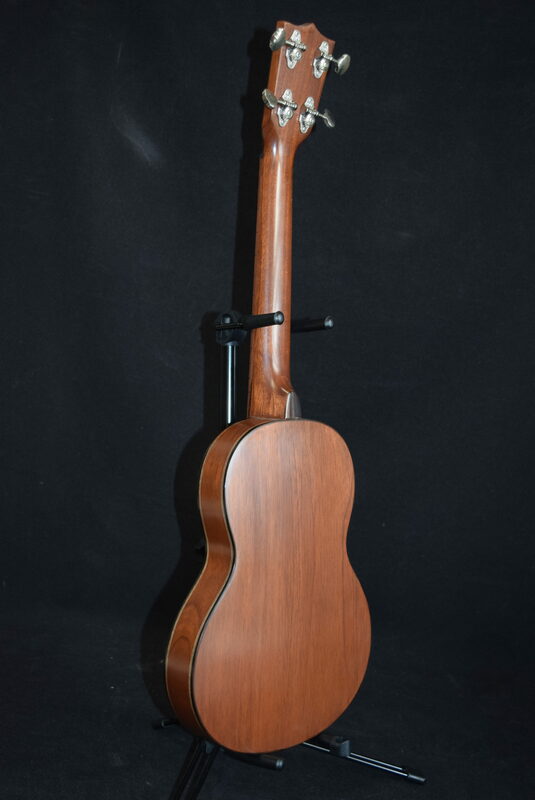 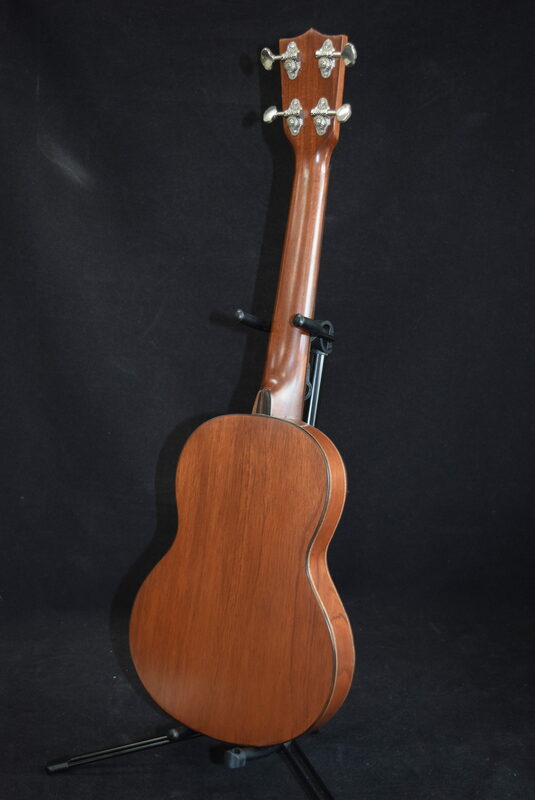 This entirely handmade Mahogany Slimline Tenor 4 string has beautiful rope binding & inlay . 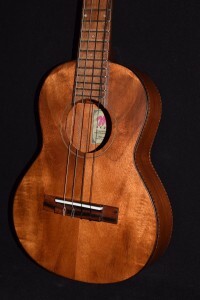 Just like our koa and mahogany models the sound is definitely in the same league, but we are finding that a lot of players prefer it over any other wood for its striking, unique looks and tone.